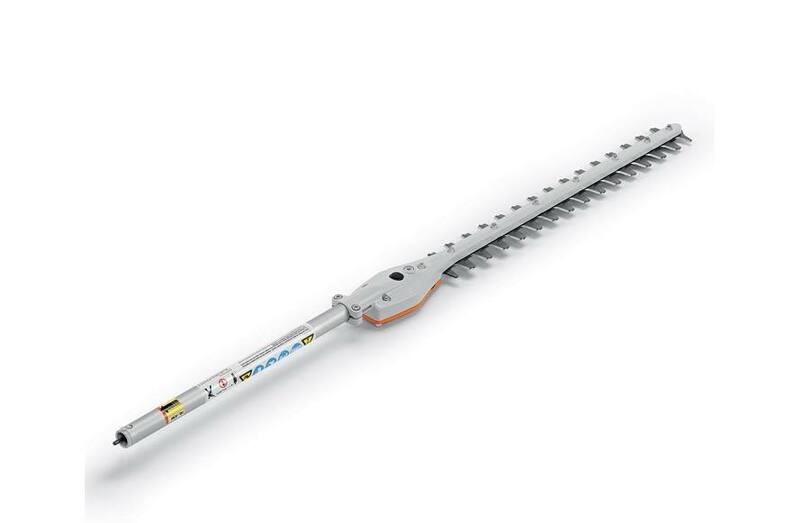 This STIHL KombiSystem straight hedge trimmer attachment makes it easier to reach those hard-to-reach hedges. Turn your STIHL KombiMotor into an efficient and agile hedge trimmer. The HL-KM straight hedge trimmer attachment gives you greater cutting control, so you can trim around obstacles with enhanced precision. It features a new, lighter gearbox design and blade assembly than the previous model for reduced fatigue when trimming high or extensive hedges. Pair it with the HT/HL CFK shaft extension for trimming taller hedges.